Buying a new car is great, but sometimes the price for the most recent vehicle doesn’t match your budget. No worries! Instead, opt for a certified pre-owned or used Nissan Altima for your Mascoutah commute, which is one of the brand’s best selling vehicles. These used Nissan midsize sedans come with many of the same great features found in the newer models, but for a fraction of the cost. CARFAX One-Owner. Priced below KBB Fair Purchase Price! Hassle free buying with the Auffenberg Honesty policy.Upfront no hassle pricing for everyone!! Come see over 800 preowned vehicles at the PREOWNED SUPERSTORE located at the St Clair Automall in O'fallon. Best selection, best prices, best service.Come see why BERG IS THE WORD!! ***ONE OWNER, CLEAN CARFAX, Best price in town! !, Altima 2.5 SL, 4D Sedan, 2.5L 4-Cylinder DOHC 16V, CVT with Xtronic, FWD, Brilliant Silver, charcoal Leather. 2.5L 4-Cylinder DOHC 16V 27/39 City/Highway MPG At Auffenberg Pre-Owned Superstore we have over 600 vehicles for you to choose from staring at $4995. We're only minutes from anywhere in St. Louis. 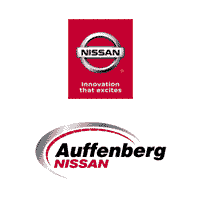 Why Buy a Used Nissan Altima from Auffenberg Nissan? Nissan Altima sedans deliver a fuel-efficient performance with their base four-cylinder engine, but there’s also a V6 engine for East St. Louis drivers who like a bit more power. The Altima offers a suite of safety features, updated automotive technology, and comfortable seating for the driver and passengers. If a used or certified pre-owned Nissan Altima sounds like the right sedan for your next vehicle purchase, contact us online with any questions, or simply stop by our showroom, near Lebanon, to test drive some options and explore what financing is available.